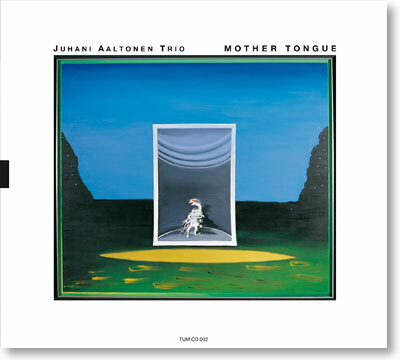 Mother Tongue is the first recording of the Juhani Aaltonen Trio,founded in 2001. In addition to tenor saxophonist and flautist Juhani Aaltonen, the trio includes Ulf Krokfors on bass and Tom Nekljudow on drums. For this album, the Juhani Aaltonen Trio was recorded at Helsinki´s Kanneltalo during a concert held in fall 2002 towards the end of a nine-concert tour in Finland. The recording includes free-flowing improvised music principally based on compositions by Juhani Aaltonen. In addition to original compositions, the trio performs its own version of the evergreen "Nature Boy" made immortal by Nat King Cole. Just as it does on its own original material, the trio puts its own unique stamp on this standard, which has since become one of the signature tunes of Juhani Aaltonen. Mother Tongue received the Emma Award presented to the Best Finnish Jazz Recording of the Year in 2003.